A crown is a restoration which covers the whole tooth. They are sometimes referred to as “caps”. Crowns can be made of metal, porcelain or a combination of the two materials. 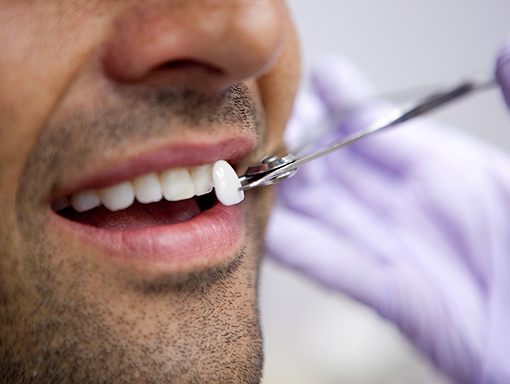 Teeth are sometimes crowned to improve appearance, or simply to restore the shape of a tooth where a large amount has been lost due to decay or trauma. Veneers are a thin layer of Porcelain placed on the front surface of a tooth to improve aesthetics, whether shape or colour.